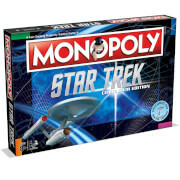 The perfect product for anyone who loves Doctor Who and Top Trumps. 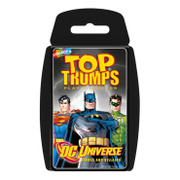 To celebrate 50 years of time travel and adventures, Top Trumps has created this special edition of Turbo - featuring 6 exclusive packs of Aliens, Companions, Robots, Stories, Enemies and Humans. Hit the Turbo Spinner and race through the mini games with your favourite Who characters, Doctors and scary monsters as you try to be the Turbo Champion!